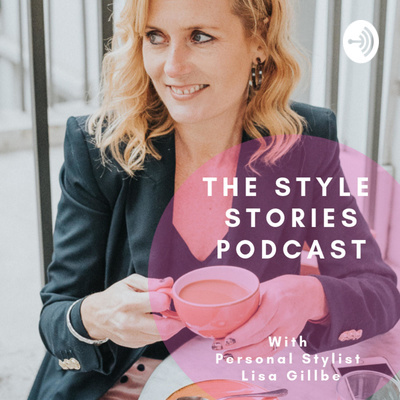 London based personal stylist Lisa Gillbe speaks to a mix of friends and image experts to bring you real style stories and practical advice on everything related to fashion, style, beauty and image. Discussing hot trends for the season, how to dress smart/casual at work and how to grow older with style plus lots more! Insider Hair Tips & How to go Grey with Swagger! Lisa chats to Poppy, owner of Hairdresser’s POP West Norwood in South London. We discuss how loads more women are embracing going grey and if you want to, How to do it. We talk about hot hair trends for 2019 and the best products to use for untameable Hair. Lisa and fellow stylist Sarah Gilfillan of men’s styling company ‘Sartoria Lab’ in London discuss the reasons people use a personal shopper and stylist. Also find out the five key items you need to build a smart/casual capsule business wardrobe. Lisa chats to media training specialist and business owner Roz Morris in a noisy cafe! We talk about the power and importance of dressing well at work. We discuss what to wear and what not to wear in a smart/casual office, when you’re presenting to clients or presenting in front of a camera. You only get one chance to make that all important first impression and that can be achieved with a great outfit! Stylist & Image Consultant Lisa Gillbe & friends discuss style in your 40’s and beyond. Death to the traditional department store? Spring “19 Trends and Styling Ideas at Anthology Boutique in SW London. Lisa chats to Anthology Boutique owner Naomi about hot trends for spring ‘19, what to update your wardrobe with this season and styling ideas. We discuss the versatility of certain pieces and how saving things for best is a thing of the past! Wear everything in your wardrobe and feel fabulous! Lisa chats to the owner of boutique White Feather about trends coming in for Spring. We make the case for spending a bit more on a few pieces you love rather than having tons of cheap stuff in your wardrobe but still no outfits! I talk to four women over 45 about the moment they embraced going grey or why they won’t! Discussing the pressure we’re under by society to chase youth or be invisible. Stylist Lisa Gillbe and friends discuss why the giants of the high street disappearing and how change in the shops is needed.